One of which is that when I am in the mood for a spruce – up or a new SPLASH of color….I can grab a few things at TARGET , inject a new color into my decor and still have money for Groceries! THIS QUILT IS THE PERFECT ANCHOR. A GREAT PLACE TO START. AND LOTS OF GREAT COLORS TO PULL OUT AND ACCESSORIZE WITH. BLUE, TEAL, BLUSH AND MINT. MY 9 FAVORITE BLUSH PINKS – EARLY SUNSET, GENTLE REPOSE, OLD COUNTRY, PINK MOIRE, PINK GROUND, PRISTINE, PUPPY PAWS, RALEIGH PEACH AND TISSUE PINK. TARGET HAS THE MOTHERLODE OF BLUSH AND MINT RIGHT NOW AND I FOUND A WHOLE SLEW OF THINGS TO ACCESSORIZE OUR BEDROOM WITH! I AM LUSTING OVER CAITLIN WILSONS PINK CITY MAZE PILLOW! I PLAN TO ADD SOME ART…. Have you done any little spruce ups lately? I find they really help with the winter doldrums. Especially when you incorporate pretty Spring colors! Here are a few MORE inspiration photos! 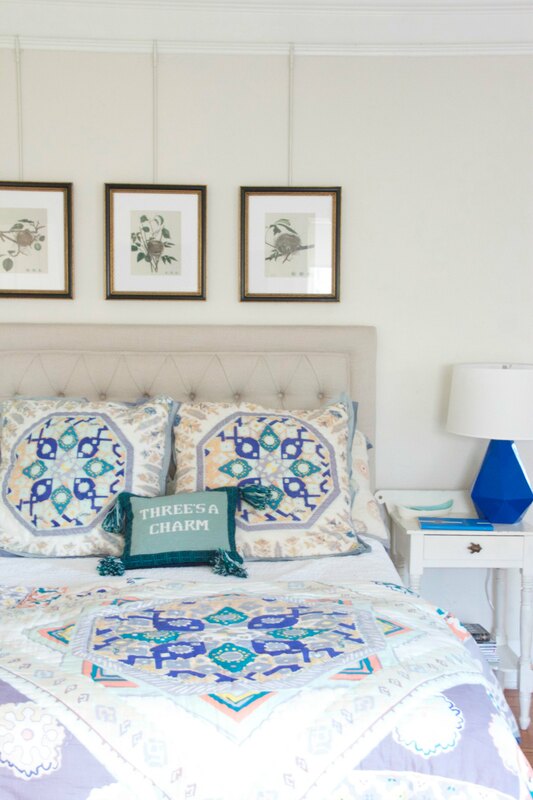 THE WORLD ACCORDING TO JESSICA CLAIRE – A MUST SEE BLOG AND ROOM MAKEOVER! Previous Post BUILT-IN BOOKSHELVES – TO DO OR NOT TO DO – BUILT-IN BOOKSHELVES ?